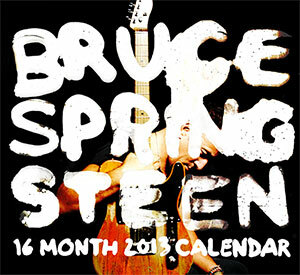 The official Bruce Springsteen calendar for 2013, now 2/3 off! 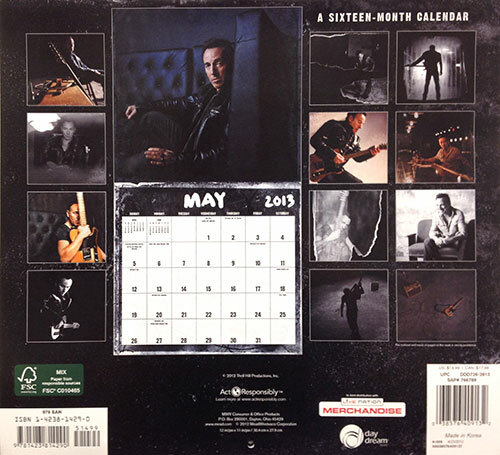 This official 2013 calendar from Thrill Hill Productions carries forward the look and feel of Wrecking Ball, with the same whitewash typography and some beautiful photography of Bruce and his Esquire from the album cover sessions. Each month of 2013 has a large (12" x 12") picture from Wrecking Ball cover photographer Danny Clinch, in both color and black and white. 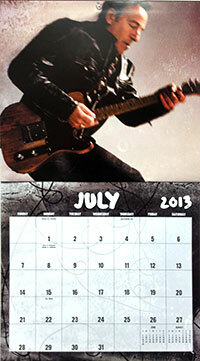 Like previous Thrill Hill calendars, this Bruce-licensed 2013 model is high quality on glossy stock and very useful, with space to write for each date and major holidays marked. Clinch's shot of Springsteen's guitar cables is a nice design element, screened lightly behind the dates on each calendar page.